Which Section of the SAT or ACT is the Most Important? The SAT and ACT standardized tests are a key component of your college applications, so it’s only natural to wonder how your scores will be interpreted and which, if any, section is most important. You may be wondering which is most important because you want to know what you should focus on while studying. Maybe you want to know which is most important so you can decide if it’s worth retaking your test just to improve on one section. Or perhaps you are curious if your scores on one section will exclude you from certain programs. Whatever your reason, the answer is not a simple one, and it depends on a variety of factors that will differ from one candidate to the next. Before you decide which section is most important for you, you need to have a general understanding of how your scores are reviewed in the first place. The first thing to remember is that your standardized test scores alone cannot get you into the school of your choice. Colleges and universities use standardized test scores as one part of the equation for evaluating your overall candidacy, not an end all and be all. Admission committees will also review your transcripts, your essays, your letters of recommendation, and any other significant pieces of your application to make their final decision. Test scores become just one piece of the puzzle. That said, test scores absolutely can keep you out of the school of your choice. Even if you meet most of the requirements to be considered for admission at a top school, the admissions committee will be checking whether there are any aspects of your application that can disqualify you for admission. This isn’t to say that they don’t want you at their school, but because they have so many strong, qualified candidates for admission, their job becomes culling the field to leave only the very top candidates standing. If your composite score—that is, the sum of your scores in each individual section for the SAT, or the average of your scores across each section for the ACT—can’t compete with that of the top candidates, it may be enough to keep you out. Remember that, in general, your composite score will be reviewed before your individual scores. If you have done poorly enough on one section that your composite score does not reflect a strong candidacy, that may be all the admissions committee sees before moving on to other applicants. If you get past the cursory review of GPAs, transcripts, and composite test scores, the admissions committee will then look more closely at your application. Among other things, they will be looking for upward trends in your grades, dedication to specialized extracurriculars, and of course, your scores on each section of the SAT/ACT. Which section they will deem most important depends on the schools and the programs to which you’re applying. When is the verbal section most important? If you are applying to study humanities at a liberal arts school or have written extensively in your application about your commitment to pursuing literature or languages through higher education, the admissions committee will most likely give your verbal section slightly more weight than the math section. In fact, scores skewed slightly towards your strengths in the humanities may reflect your interest in pursuing these strengths. Of course that doesn’t mean that your math scores don’t matter, or that you can’t pursue the humanities if your math scores are higher. It just means that a strong score on the verbal section will provide the most congruency across your application as a whole. When is the math section most important? The math section of the SAT/ACT reflects skills specific to pursuing programs in the maths and sciences. A weak math score will often be enough to keep you out of an engineering program, regardless of what your verbal score is. Math programs will of course be looking for strength on the math section, but a strong verbal score won’t hurt you if you’re trying to get into a math program. As long as your math scores are also strong, it will only reinforce that your application reflects a well-rounded candidate. When are both scores equally important? Some colleges have broad curricular requirements of all undergraduates. Liberal arts programs in particular may require you to complete college level coursework across all of the core subject areas in addition to the requirements of your major. Schools that require you to complete a balanced core curriculum will be more apt to look for a balanced performance on both sections of the SAT. They want to ensure that all accepted students will be able to complete each of their graduation requirements, so showing that you are capable of work across all subject areas improves your chances of being accepted. On which section should I focus most of my studying? Because the composite score is the single most important number, you should focus your studying on areas that are weak for you. To be considered for admissions into competitive programs, you will need to show overall strengths and your composite SAT/ACT scores will be reviewed first to evaluate those strengths. If your overall score is not high enough, admissions committees may never even look at your individual scores. Make sure that your composite score qualifies you as a strong applicant, and then focus on raising your scores in whichever specific areas are weakest. Being well-rounded will give you the best shot at most programs. What if I want to reflect my specialized skills and knowledge? Your SATs or ACTs are the place to highlight your overall academic and reasoning strengths. They should be a reflection of your commitment across subject areas and show that you can use your existing knowledge and reasoning skills to problem solve effectively. If you want to highlight more specialized skills and knowledge, you should take an SAT II subject area test to draw more attention to these areas of strength. SAT II subject tests that parallel the interests as shown on the rest of your application are your best choice. In fact, if your application highlights your dedication to the sciences and you do not take any science SAT IIs, the admissions committee will likely wonder why you did not choose to do so, or even worse, they will assume that you took the test and did so poorly that you decided not to report your scores. If you write about how studying abroad has changed your view of the world, have strong grades in foreign languages, and express an interest in pursuing the languages during your college career, a high score on the SAT II in a foreign language will complete the package. Similarly, if you are applying to an engineering program and have a strong composite SAT or ACT with especially strong math scores, you should also consider taking a math or science SAT II to reinforce your commitment and strength in this area. Furthermore, some programs will require specific SAT II’s of all applicants. Make sure that you have read all application requirements before registering for subject area tests. You want to ensure that you have plenty of time to prep and take any required subject tests in addition to your SATs or ACTs. The bottom line is that there is no easy answer to which section of your SAT/ACT is most important. Your composite score on its own is usually the single most important number when it comes to standardized tests. Beyond that, the section most closely linked with your intended path in higher education will often be slightly more important. In terms of studying though, your best bet is always to put your efforts towards your areas of weakness, regardless of whether they are your priority for higher education. A well-rounded student who shows strength across curriculum is almost always at an advantage compared to a student who shines in one area and pales in another. The only exception to this may be highly specialized lines of study such as engineering. In general, focus on your areas of weakness to produce high scores across subject areas, and you will ultimately know that you’ve done everything in your power to impress the admissions committee. 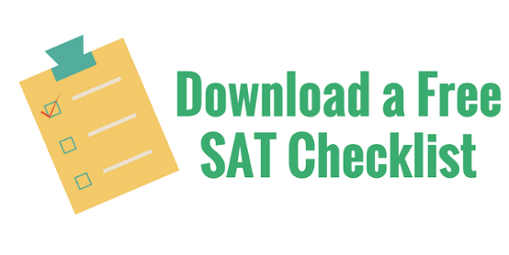 To learn more about how the ACT is scored, check out our ACT grade breakdown, or for advice on the SAT, check out our inside look at how to do well on the SAT. We also offer general academic tutoring along with AP and SAT II tutoring!